Transcend memory modules are with carefully selected chips and complete laboratory test. All our memory modules come with a lifetime warranty and a global service network, providing a cost-effective solution with the highest stability and reliability. 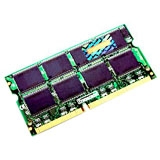 Consumers have come to trust and support Transcend memory modules because of their high quality, outstanding performance, excellent compatibility, and superb reliability and stability. As always, Transcend memory modules will provide users with the ultimate computing experience.